Bits and Pieces...: Where is My Mojo?? Ummmmmmmmm, does not look like you have lost your MOJO! Still stunning. Excuse me, these creations look like tons of mojo to me!!! My cure for a missing mojo though is some NEW stuff to play with! 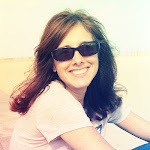 I have found that looking at other peoples blog helps me when I am in a rut. There are so many different styles that you are sure to get some inspiration somewhere. Just spend an afternoon blogging around. Visit some of the people that leave you comments and look at who they look at. Hope that helped. It always helps me. I LOVE your cards. 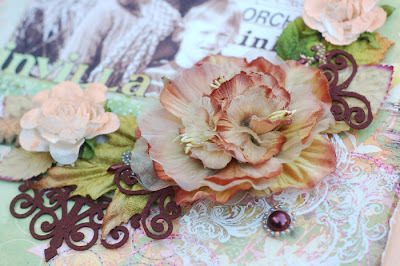 The mixture of layers, textures, and patterns is wonderful! 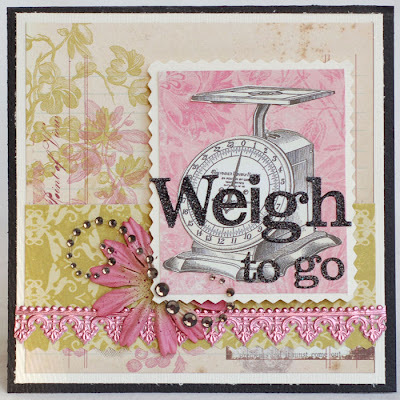 As a member of TOPS, I would love to find the WEIGH to GO image - it would be great to send to my TOPS and Weight Watchers friends!! 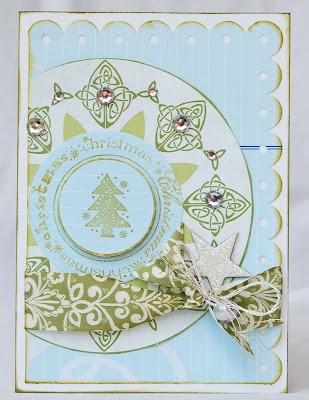 The aqua and green Christmas card is gorgeous. 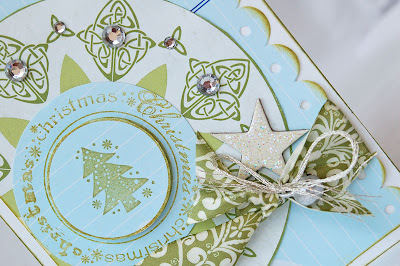 I love your use of non-traditional colors, and the way you have formed the Celtic knotwork elements into a wreath. I, too, LOVE Celtic flourishes. 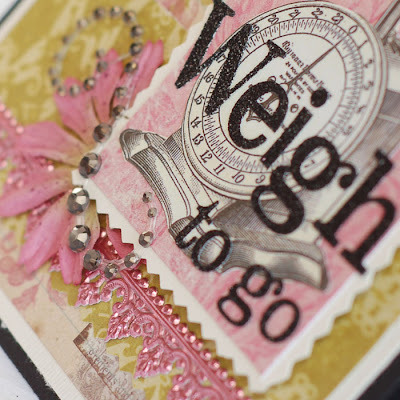 I think you would love the new Irish stamp line, Waltzingmouse Stamps, by artist Claire Brennan. The Celtic Heritage set reminds me of the stamps on the card. I am not affiliated, I just love Claire's work. It is always sad when stamps retire or stamp companies disappear, so it is nice to find a source for similar images! Your MOJO is BACK, baby! Way to go! !